Begin Day 1 by going on a ferry ride to visit one of the most iconic attractions, the Statue of Liberty! If you wish to access Lady Liberty’s crown for mesmerising views of the city and harbor, be sure to reserve tickets in advance. Hop off the ferry at Battery Park and make your way to the world renowned (and Instagram-worthy) Brooklyn Bridge. On Day 2, make your way to the Empire State Building! With a slim silhouette recognizable worldwide, this is a must-visit attraction. The spectacular views of the cityscape from the 86th floor outdoor deck and 102nd floor indoor deck are to die for. Round up your day and head to the vibrant Times Square. This is the most frenetic part of the city, boasting a myriad of flashing digital displays, billboards and neon lights. The quintessential New York experience that is sure to give you a sensory overload. What’s New York without exploring museums, scouring for the best eats, and hanging out at the most picturesque spots in the city? It’s probably not easy to keep your wallet shut when you’re in the idyllic city where dreams are made of. Run out of cash? Finding a good money-changer around the neighbourhood can be such a hassle, plus the exchange rates might be far from ideal. Well, guess what? Solve this problem simply by opening a DBS Multi-Currency Account (MCA). With an MCA, you won’t have to pay any foreign exchange fees. Plus, you get to buy currencies at your preferred rate when the exchange rates are favourable, and pay directly in that currency using your linked DBS Visa Debit card. Keep your eye on the exchange rates of the US Dollar, and wait until its value drops to your preferred rate before exchanging your Singapore Dollar for it. On top of the US Dollar, your MCA account also covers these other foreign currencies: British Pound, Euro, Canadian Dollar, Hong Kong Dollar, New Zealand Dollar, Japanese Yen, Australian Dollar, Thai Baht, Swedish Kroner and Norwegian Kroner. Don’t forget to transfer funds into your MCA so as to lock in your desired rates! Your exchange rate will be locked in at the time of Funds Transfer, and will not be subject to any future fluctuating market rates. STEP 3: Whip out your linked DBS Visa Debit Card and you’re ready to go! If you’re a new DBS/POSB customer, every new MCA account comes bundled with a complementary DBS Visa Debit Card. With this card, you will be able to make cashless transactions on the go. Sounds convenient, doesn’t it? The MCA is applicable in most countries that accept the major foreign currencies, making exploring the United States and the rest of the world a breeze! Hop on the Lake Shore Limited train on Day 3, from New York Penn Station and travel onward to Chicago! The train departs at about 3.40pm and will arrive Chicago Union Station at about 9.45am. During this train ride, you’ll travel along the scenic south shore of the stunning Lake Michigan and past the Mohawk River. Your next pit stop is the bustling metropolis of Chicago! Overlooking Lake Michigan, this city boasts beautiful architecture, soaring skyscrapers and a vibrant theatre scene. Chicago will satisfy whatever you crave for, from nature and deep dish to culture and jazz clubs. Start your Chicago leg with Chicago’s iconic deep-dish pizza! Settle down for lunch at one of Chicago’s popular pizza restaurants, Lou Malnati’s. The next morning, rise early and arrive at Skydeck Chicago. From the 103rd floor of the Willis Tower, you’ll be treated to an unbeatable view of the cityscape. Get back on the California Zephyr, which departs at 2pm and make your way to your next destination, Denver! You’ll arrive in Denver at about 7am the next day. Nestled at the foothills of the Rocky Mountains, the Mile-High City is well known for its picturesque beauty, abundant sporting opportunities and a thriving culture scene. One of Denver’s most historic areas, Larimer Square is located in the Lower Downtown precinct and it is THE place to start your 24 hours in this city. It’s history dates back to the 19th century when Colorado was all about its famous gold strikes. It has a multitude of cafes so it’ll be a great place for breakfast. Just a 10-minute walk away is the Colorado State Capitol Building. Fun Fact: The structure’s gold dome consists of real gold to commemorate the Colorado Gold Rush. When travelling around the USA, it’s always better to be safe than sorry, in case you run into any unexpected situations or mishaps! That’s why TravellerShield Plus travel insurance is the ideal choice. Travel with a peace of mind and check out their latest promotions today. Often overlooked, your next city deserves more than just a cursory glance! Board the California Zephyr at about 8am from Denver and expect to reach Salt Lake City at about 11pm. Be prepared to be awestruck as you climb through the heart of the Rockies, then head further west through the white peak Sierra Nevadas. Start this leg by visiting Temple Square, the city’s spiritual heart! It is an amalgamation of fascinating history, singular architecture and amazing food. The 10-acre square is dominated by the majestic Salt Lake Temple, a 210-feet tall granite structure built by Mormon Pioneers. Salt Lake City is also in close proximity to some of Utah’s best slopes, with some of them found at the Snowbird Ski Resort. Sprawling a massive 2,500 acres, Snowbird features about 169 runs catering to people of all skill levels. Board the California Zephyr again and make your way to San Francisco. The train departs at 11.05pm and it is an overnight train, so catch all the sleep that you can get! Your train ride will bring you to Emeryville Station at about 4pm. Upbeat, friendly and buzzing with arts, culture and entertainment, it is no wonder that California’s beloved “City by the Bay” is a hot favourite! You must be exhausted from the long train ride. Take it easy for the rest of the evening and explore San Francisco’s Chinatown! 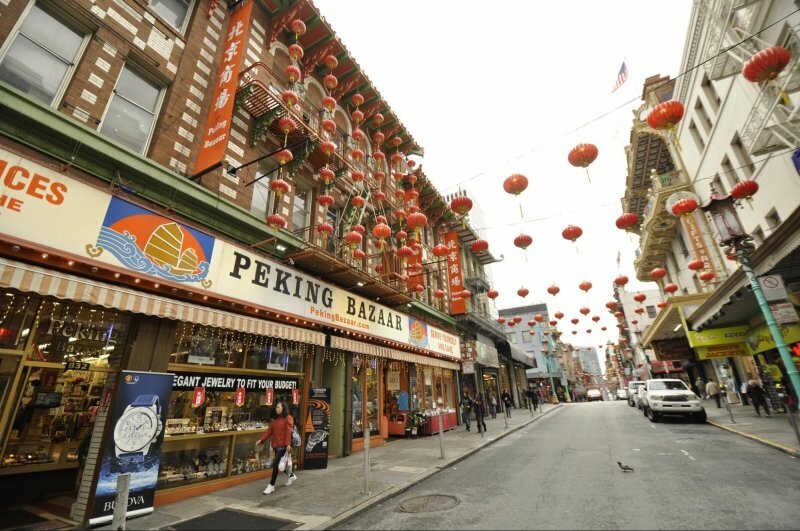 Centred on Grant Avenue and Stockton Street, this is the biggest and oldest Chinatown in North America, and the perfect spot for you to get some delicious Asian grub! Experience the best of California’s nature by taking a four-hour road trip to Yosemite National Park! The park is a designated UNESCO World Heritage Site, and boasts ancient Giant Sequoias, majestic granite cliffs and roaring waterfalls. Be sure to stay overnight at Yosemite’s lodges or camp out for the night at their designated camping spots. Can’t wait to explore the picture-perfect grounds of Yosemite National Park? Well, if you think you might become a frequent flyer to the United States, or anywhere else in the world, why not apply for a DBS Altitude Card? 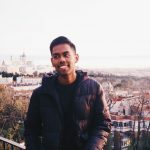 Enjoy 3 miles/S$1 spent on online flight & hotel transactions (capped at S$5,000 per month), 2 miles/S$1 spent overseas (in foreign currency), and 1.2 miles/S$1 spent locally. And the best part? These miles don’t expire! You can take your time in redeeming them as and when you like. So whenever you spend, you’re actually saving up for your next trip! Sign up for DBS Altitude Card today! Pack up your campsite and make your way back to San Francisco City! Today, you’ll be exploring some of the city’s top sights. Have a scrumptious brunch and be prepared to visit most of San Francisco’s major attractions today. Start off your afternoon at the iconic Golden Gate Bridge, the city’s spectacular icon rising 80 stories above the bay’s stunning waters. Alcatraz is a must see for all first time visitors. Hop on board Alcatraz Cruises from Fisherman’s Wharf to explore the famous prison, and listen to the award winning audio-guide for a first-hand glimpse of how life was like on the inside. From Emeryville or Oakland Station, take the Coast Starlight to your next city, Los Angeles. The train departs at 8am in the morning, and reaches Los Angeles at 9pm. Boasting idyllic palm-fringed beaches, world-renowned theme parks and laid back, indie vibes – the City of Angels is the last leg of your train adventure! Also dubbed the Happiest Place on Earth, the Disneyland Resort is home to Disneyland Park and Disney California Adventure Park, both of which are sure to excite the whole family. Go on the futuristic rides of Tomorrowland and super thrilling rides at Paradise Pier, amongst other adrenaline-pumping attractions! For your last stop in Los Angeles, swing by the Hollywood Walk of Fame. If you’re lucky, rub shoulders with some of the biggest celebrities in the industry! Take in the glitz and glamour of Hollywood, and snap some pictures with the stars bearing the names of your favourite singers or actors. P.S. Do note that all train timings in this itinerary are city-specific timings and are subject to changes. Do check Amtrak’s website for up-to-date train timings and adjust your activities accordingly.So there you go, the ultimate 15D itinerary for an epic US coast to coast train adventure! It’s the perfect way to visit six different cities all in one trip; complemented by breathtaking views and hidden corners you’ll never find in travel guidebooks. Auto-activate your card’s magstripe before you travel! Merchants in some countries/cities may not accept EMV chip for processing your card payments. In some cases, you will also need to use your card’s magstripe to access the ATM for withdrawing cash overseas. That’s why you may wish to enable your card’s magstripe for overseas use. Before you leave for your vacation, download the DBS Lifestyle app which lets you enable your card’s auto-activation magstripe feature. It detects your phone’s location and automatically activates magstripe when you’re overseas & de-activates when you’re home, providing convenience and added security. To enable, select More from the menu bar, Card Services, Activate Card for Overseas Use, Turn on Auto Activate/Deactivate, Select your preferred Card and Tap “<” on top left corner to save your settings. Don’t have the DBS Lifestyle app?